In 1997, at the age of seventeen, he joined the band The Bicycle Thief had as a leader Bob Forrest and recorded the album with him You Come and Go Like a Pop Song, first recording of Josh. It was at this time that he met John. In 2000, The Bicycle Thief opened some shows from the Red Hot Chili Peppers, during the tour of the album Californication. During the first six months of 2004, Klinghoffer continued to assist Frusciante in the studio during a break of the Red Hot Chili Peppers. Together, they recorded three solo albums Frusciante, Shadows Collide With People, The Will to Death and Inside of Emptiness, and an album credited for both A Sphere in the Heart of Silence. 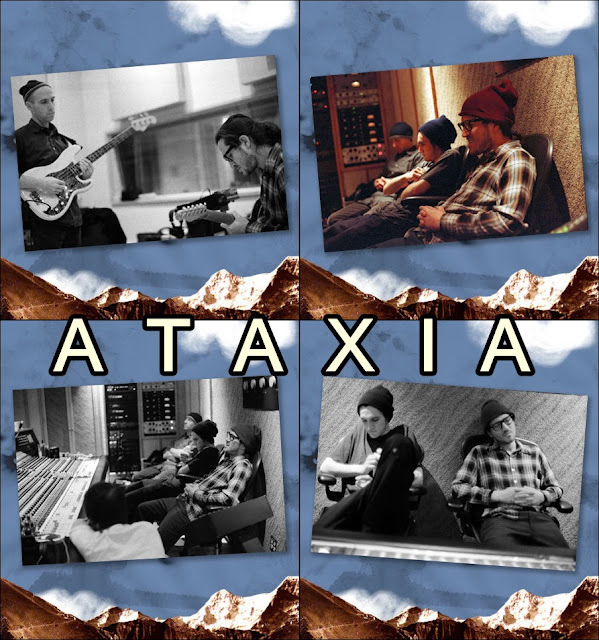 Also formed with Frusciante and bassist Joe Lally group Ataxia, where they released the albums Automatic Writing and AW II. Composed during the tour of By The Way, "Shadows Collide With People" was a successful response to that said John could not produce an album with quality, production and editing studio. After working on side projects with Josh Klingoffer (The Bicycle Thief) and Omar Rodriguez (The Mars Volta), Frusciante recruited them in some cameos on the album, along with Chad and Flea, which made the arrangements even more diversified and comprehensive, and the most expensive album to be produced by John, was spending about $ 300,000 to be done. "I also recorded most of the songs on this disc, while it recorded By the Way. So my mood is almost the same in the two discs, where there is some similarity. And about me, I have evolved since Fri Blood Sugar Magic . How Flea or Anthony. Today, our tastes are much more similar than in the past. " John thought about releasing the album under the name of a band, being a collaboration between him and Josh Klinghoffer. "My energies were equally distributed between the way this album (SCWP) that has not been recorded. Several songs were written at the same time (By The Way). Both projects represent two sides of that time period in the same way." Unlike the three previous Frusciante's solo albums, including last year's'' To Record Only Water For Ten Days'' the new album will be recorded in a "real studio, with professional engineers" instead of home-recorded. It will also be released under the name of a band. "We have not figured out what it is yet," he says. "It really is a collaboration with my friend named Josh Klinghoffer, who is 22 years old. Most of the songs are things that I wrote myself, but with what he gives to the music as a drummer and singer, is as if we had written songs together. " "On my last album'' To Record Only Water For Ten Days'', was a kind of mechanical. This recording will be very human, there will be a good mix of human sounds hot and cold electronic sounds, each captured by two engineers separate - One for designing electronic things, and the other for recording live. " Holdings: Josh Klinghoffer - synthesizers, bass, guitar, keyboards and vocals, Chad Smith plays drums and percussion, Omar Rodriguez-Lopez - guitar on "Chances", "23 Jump to End" Flea plays bass on "The Slaughter", Greg Kurstin plays piano on "Of Before") and Charlie Clouser did orchestral programming for "Regret" and "Chances". Later, John said both "Shadows Collide With People" and "By The Way" sounded too perfect. It changed her way of writing. "The previous album, By The Way, sounds too perfect. Great In our two previous albums, Californication and Blood Sugar Magik Fri, felt the rawness of four people playing in a room. Now solved this, sound like a band of four, but we could also add other landscapes, adding a new sound dimension. "- John Album of Peppers By The Way. "The most important thing for me at the time the album was being made, was sure it was spacious and the" overdubs "(if there was) sounded subtle. I'd just do what for me was a great production of an album, which was what I needed to do at that time, to balance my productions. Being different from previous album, now to make an album that was more "raw" it was very important to me. was also important to me, burn it quickly and reduce the feeling of perfection that I had raised in "Shadows." when I think of "Shadows", I was so excited to do the album in a real recording studio and so tired of people who thought my recordings as fucked up and unprofessional. Shadows In, I wanted to feel exactly the way he sounded in my mind. But after this album, I began to realize that the albums that I loved most in my life, had tons of things I would have (at the time) which prompted me to re-produce it. Shortly thereafter, John decided to record in your living room, along with his friend and musical partner Josh Klingoffer an acoustic version of Shadows Collide With People. The album was placed for free download on his old website. "I'm releasing version is acoustic album because there's so much production and recording - There are so many layers of different types of sound, among other things - so I just thought it would be good for some of my fans who prefer a more raw sound and stripped. Will you just listen to the songs in their raw form / natural. Moreover, the last album that I released, did some acoustic shows that were very good at the moment. But I'm not doing it now, because I'm spending my time writing. Then I thought of touching my room and put them on the internet, so people could hear me doing these songs the way I would if I were doing an acoustic "
2004 and with it comes the year's most musically prolific John, a year of various releases solo albums [John recorded and released six albums in six months! ],Collaborations and shows. A year that marked the entire left Frusciante genius for music, is the way his albums were produced and released, or simply for their love of producing these songs. Starting the Epic released 6 albums in 6 months, June 22, 2004 is launched The Will To Death. Fifth official album of John, and the first of the six that were released in sequence during the six-month period that was far from the Chili Peppers. After recording the costly Shadows Collide With People, John decided to produce this album drier and practical. Josh Klinghoffer collaborated with percussion, bass and keyboard. "Three of the songs on The Will To Death were recorded and mixed in two days in December 2003. The other nine songs were completed in three days in January 2004. All instruments were played by my friend Josh and me. Terms In recording, as if it were recorded in 1971, on a tape 16 tracks complete. We did things the way that my young engineer and I heard that people used to do them. No computer was used at any point in recordings or mastering. It was also very important for me and then recording a flow of energy from beginning to end. This meant that it was always about capturing the moment. No retouching was done and the mixing was done immediately after recording. The music took us instead of thinking of it perfectly. We think that when given the freedom to music in itself, is good to carry and the energies around it create its own kind of perfection. I have also become very interested in using modular synthesizer, is not as much as their own instrument, but as a way to change the sound system and other instruments, often in subtle ways. Previously I used to get sounds "synthesizer" that are rooted in things like Kraftwerk, now I'm more interested in using the synthesizer to generate distortion, static and shrieks, sounds that, in the context of rock are rooted more in The Velvet Underground . Eno was also very influential and inspiring to me in this approach to making music that people, the tools, the signal path, the chord, the speaker, the air and the recorder play roles of equal importance. He introduced me to the idea that the sound is a process, rather than just the execution and results. This recording was the beginning of my awareness of this approach and I have done a lot more with these ideas since then. Doing things this way has allowed us to grow, as will be demonstrated in the coming months, when the rest of what we have done will be released. I believe in doing things this way there is an infinite amount of space for change. " After The Will To Death, DC EP is released. DC EP is the third disc of the series of six by John Frusciante released sequentially from the second half of 2004. With all songs written by John and produced by Ian MacKaye (ex-Fugazi), this record John plays all the instruments except the drums, which featured Jerry Busher (French Toast). The disc name comes from the town in which it was written and recorded. 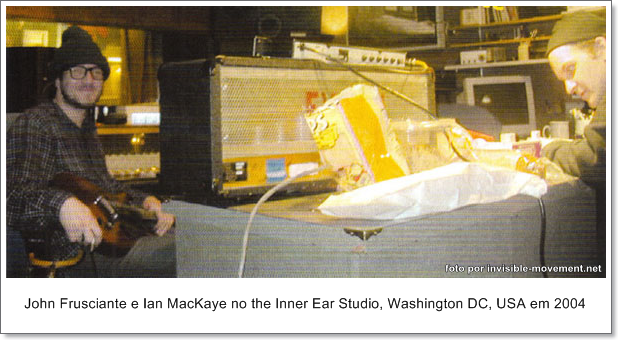 The DC EP was recorded at Inner Ear Studios in Washington. The owner is Don Zientra and is where Fugazi and most other artists of Discord record. My friend Ian Mackaye was encouraging me to appear there and write and I waited to do these songs with Jerry Busher playing drums. I met Jerry in the spring of 1999 at the same time I met Fugazi. He was the coach of their sound and the second drummer too. He is one of my favorite drummers. He is currently in a group called French Toast (with James Canty's Make Up) and has another called The All Scars. The sessions were produced by Ian. For me, it was interesting to let these production ideas to someone else. Even if we have four songs recorded and mixed in two days, one session was very relaxed and more like a vacation than work. Ian is one of the living people I really respect and admire, so it was an honor and a pleasure as well as a great learning experience to hear your perspective. For me it was also interesting to make a recording without any of my equipment ... the lesson is that it still sounds like me. For solos I borrowed a Les Paul Junior that Guy Picciotto wore at the time of the Rites of Spring. The guitar was played at the head of Ian Marshall who is pictured on the album cover Red Medicine (Fugazi) This EP is unique for being the only album I've done in the last five years without any synthesizer. Jerry, Ian and I hope to do more songs together. Something interesting about this album is that it is the only solo album that John did not produce alone, the album only after 1997 that does not have in all synths and solos, John plays the Les Paul Junior Guy Picciotto. He has all kinds of ideas. He has these really specific ideas about music and he is following these ideas, and that is incredibly badass. He's playing guitar, but he is using a lot of computer stuff, and it's very interesting. He is a friend of mine, so it's hard for me to know what other people think of it in terms of his music. I think he is a genius and his ideas are very intense. What he is doing is very hard to describe. 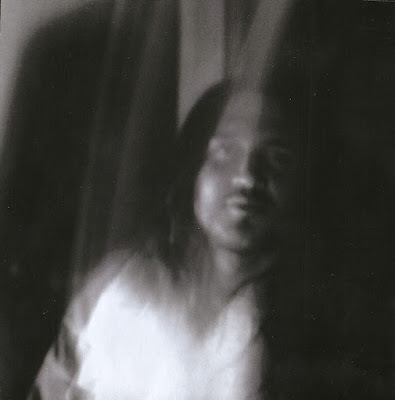 October and with it comes "Inside of Emptiness", the fourth album from the series of six that John Frusciante recorded from June 2004 to February 2005. Contains contributions from Josh Klinghoffer and Omar Rodriguez-Lopez. The genre of the album is mainly rock, with the trademark of Frusciante who is using synthesizers.Klinghoffer plays percussion and Rodriguez-Lopez plays a guitar solo on the track "666". 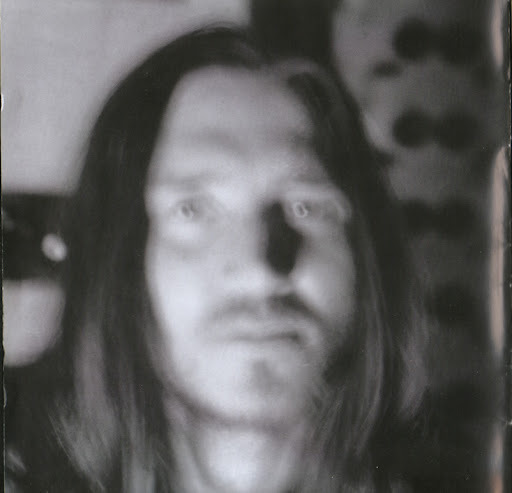 Although Frusciante has said that every album of this series of six would follow a similar musicianship, this album contains a variety of songs. Most of the songs on this album are about Aleister Crowley and his life. "Emptiness," "I'm Around" and "666" were all written while I read the biography of Aleister Crowley. Each of these three songs, in their own ways, are the result of my thoughts about him and his life. In November, A Sphere In The Heart Of Silence is released ninth album Frusciante, composed in collaboration with his friend Josh Klinghoffer.Both consitituem vocals: Frusciante's first voice in The Afterglow, Walls and My Life; Klinghoffer's first voice in Communique and At Your Enemies.Surrogate People already share the lead vocal. Sphere had to be shortened to about two thirds because the original had in about thirty minutes. And this album just happened even more, because John had as intuinto doing live performances in the "Knitting Factory". "A Sphere In The Heart Of Silence is a recording of electronic music made by Josh Klinghoffer and me. After a few months doing songs raw and / or minimizing we decided to return to making music with more layers, electronic music rich textures. Was recorded as if in 1970, but with modern electronic instruments that did not exist at that time. " In 2004, John also appears on the soundtrack of the movie The Brown Bunny directed by Vincent Gallo, brings the first five tracks on the album performed by Gordon Lightfoot, Jackson C. Frank, Matisse / Accardo Quartet, Jeff Alexander and Ted Curson. 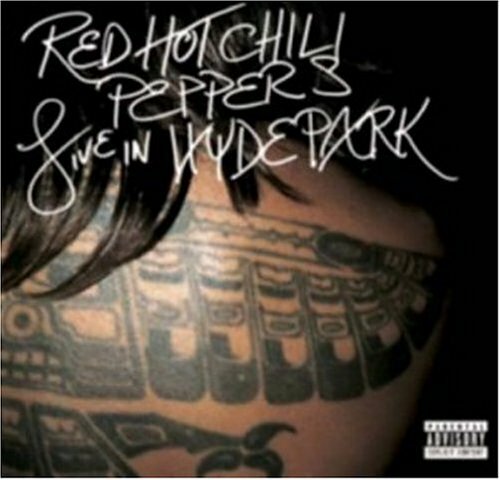 The last five tracks are John Frusciante, or more of them appeared on the original soundtrack of the film. 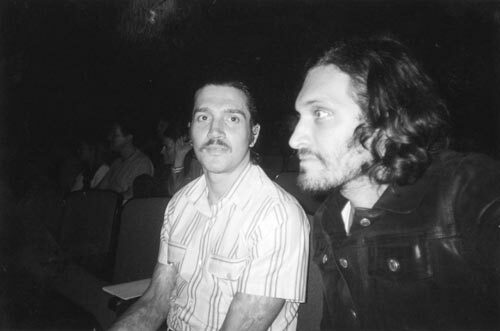 Before the first script for The Brown Bunny be written, I began to tell the story to my friend, John Frusciante. I told him many times, each time a little different. Even without a finished script, I asked him if he could make the soundtrack of the film and he agreed. That made as if I could finally "see" the real film. John is a very active person, so soon after we talk about the music, he started giving me ideas. I finally had the film in script form with the help of John, and he would be the first to read the finished script. Later, I would begin pre-production of The Brown Bunny. There were many things I needed to have before you start recording. Different lenses, different cameras, a method for me to act and at the same time monitor the film while appearing in the scenes. Also did many years since I rode a bike. So I needed a lot of time to prepare myself to walk again and time to pack up the bikes. In July 2002, I started shooting the movie. The black van from the movie was used often. She was undoubtedly the car photo, car film. It was also used to stop charging cameras, lights, ribbons, equipment, my small team and the bikes. Three of us could go in front, but only I could manage and control the CD player. The only CD we had with us was the CD that John had done for the film. Every day I heard the songs of John and me filming in the van and traveling around the country every night I listened to his music again, again and again thinking about it. 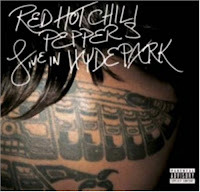 In the same year the Peppers released their first live album, named "Live In Hyde Park", the result of three days of show in a park in England. The album features three cover songs, namely: "Brandy" band "Looking Glass", "Black Cross" band "45 serious" and lastly John commands the cover of the song "I Feel Love" by Peter Bellottle, Giorgio Moroder and Donna Summer. The album also brings two new songs: "Rolling Sly Stone" and "Leverage of Space", not to mention the beautiful introductions, jams and the like. With a little delay on February 1, 2005, Curtains tenth album of John and released, composed with acoustic guitar and piano, in contrast to their previous album A Sphere In The Heart Of Silence, which was basimente in electronics. Carla Azar - the band Autolux - collaborated with percussion, Ken Wild with bass, Omar Rodriguez - Lopez of the band The Mars Volta - produced guitar. The album has crystal clear sound, especially the melancholy music of the Name that has a verse and interesting gender child: "eenie meenie miny moe", which features even more music. Lever Pulled In there is a noteworthy poem of the late nineteenth century, the era of romanticism as if the notes escaped and fell to the ground breaking. All this confirms the poetic soul of Frusciante. Some fans still conclude that John recalls Cat Stevens on this album. The album was supposed to be released on December 7, 2004, but there was a printing error and the launch had to be postponed. Curtains had a clip for the song The Past Recedes (directed by Mike Piscitelli), shows a day in the life of John in your home. The video was made available only on the Internet. It was never aired on television. "I do not do yoga, like the other guys in the Chili Peppers. However, I am extremely flexible, can I get into the lotus position or do the splits without any pain. Yoga is good for releasing tension, but I really do not have to release any tension. Also, when you are as flexible as I am, yoga is really risky, because I could easily put a rib out of place. After the bath I'll eat anything. And usually read during breakfast. The last book was Perdurabo: The Life of Aleister Crowley. It is a very good biography, by Richard Kaczynski. It gave me a clearer idea of ​​who Crowley was than his own autobiography, although there is a certain significance that still confuses me. There are about ten books that you have to read to be able to understand the language of Crowley, you can not just jump in there. He actually wrote a book with magic, which is supposed to the layman, however. I think it is the fourth book. Lately I get to read more biographies - or at least the factual material - than novels.Now I'm reading a book by Iannis Xenakis, Greek architect, mathematician and composer. I'm really into their music, and I have to take some math classes for my own interest. I have a teacher who comes here, and when it goes away I practice what she taught me and hear classical music of the 20th century. They say there is a strong connection between mathematics and music, and I'm definitely going along with it. I believe that any good music that we consider can be explained in terms of mathematics. For me, the way I apply mathematics in music is largely subconscious, but now I'm trying to change that in my conscious mind. The main reason I'm taking classes, however, is that so I can understand my modular synthesizer from a deeper point of view, and I hope to learn how to build modules myself. To me math is fun. I like to end each day knowing that I learned something new, feeling that I made some sort of progress. Also, most of my day is spent sitting on the couch listening to music, and if I'm interested in learning something about the guitar I'll do it. I do not watch much TV, but my friends convinced me to see the HBO comedy series Curb Your Enthusiasm starring Larry David, which is excellent. So many people told me good things about her that I was on curiosity, and bought it on DVD. One thing I collect are old movie posters from Hollywood. I have a lot of Andy Warhol. It's hard to find stuff that was made for the movies very old, but I have some. They are on display, I do not have them packaged and stored. Obviously, I have a collection of guitars too. If I'm sitting at home, I'd probably choose one of the three acoustic guitars Martin I have that were made in the fifties. If I get a electric will probably be my Fender Mustang.Ultimamente everyone is so concerned with fame and the money that they forget that music is endless, and there is still a huge abundance of riffs to be written. You just have to have fun and keep things simple.When I showed up with things which, in retrospect, I think are good, they did not seem a big deal at the time. And I'm sure the same thing happened when Joe Perry wrote 'Walk This Way "or Jimmy Page wrote the riff of' Whole Lotta Love"
In the midst of all these recordings and releases during 2004, John formed the band "Ataxia" John (guitar and vocals), Joe Lally (bass and vocals) and Josh Klinghoffer (drums, synthesizer, vocals). The group released their first album, Automatic Writing in 2004. This first work with the participation of all members, who contributed vocals to at least one song on the album. Later in 2007, the band's second album Automatic Writing II was released. Again featuring the same experimental sound melodic. Like the first album, with vocals by Frusciante and Klinghoffer. Ataxia was a band formed in about two weeks in February 2004. It's members are Joe Lally of Fugazi, Josh Klinghoffer and John Frusciante. "Ataxia" is a Greek word for "disorder". We were not aware at the time that it also has a meaning in English, that is: a total or partial inability, to coordinate the voluntary movements of the body, such as walking. According to the meaning of the name "Greek (completely unintentional), the sections of our songs never had an arranged order. Bases All of our songs are low, which always touches everywhere. The drums and guitar goes on vocal use, which is usually used as a guide. vocals and the words were written, but the orders of the vocal sections they occurred, in terms of time and space that were different were all the time. So all that would remain to our fingers, to be together for a dynamic change in the groove for the new sections, etc.. Did two shows and recorded two albums. Their first album was released in August 2004. was named after a surrealist activity called "Automatic Writing "[Automatic Writing]. was then that people like Andre Breton and Max Ernst were writing words in the form of sentences and paragraphs, but with absolutely no conscious attempt to meaning. They observe the structure of your subconscious and his peculiar methods of organization (or lack thereof) in this way. And if there is an answer that I can give to the question, "How do you wrote and recorded two albums in a week and a half? ", I would have absolutely no thought into everything we were doing . These songs are pure by any expectation of a specific result on our part. simply three of us we gathered to hear what the music had to say this week. We had fun together and the recordings of these albums are part of that fun. "That's that felt, and felt so good about the songs that the result of these improvisations was decided that spending time in the studio. Thought we were going to record everything in one day, but ended up recording 90 minutes of music in four days. We recorded for two days, then played two shows at the Knitting Factory, then recorded two more days. Everything was recorded live in the studio with the most vocal tracks recorded with base. We spend an equal amount of time experimenting with electronics and doing treatments as we did in the recording of the band. The sessions will be released in two halves. The first is called Automatic Writing and will be released on August 10.The other half will come probably in January or February. These recordings were very exciting to do. Normally, in the recording studio there is a feeling of being cared for in performance, but on this record there was a feeling of abandonment and of being out of control. When a faiza on the tape does not ask to be made. What happens during the live accompaniment is all there, but instead of being all careful, just came out. It was a great feeling. Basically, the three-week period that these songs were made was a very exciting time and I feel like I always I always hear these songs with the same sense of wonder that I feel now, that is only one question in my mind , "how was this happening?". It happened so fast and I would rate as our best moments with some of the most powerful feelings I have ever felt in my life. "